Below is a brief summary of what is expected this week on Gangaa, showing Monday to Sunday, November 5 - 11 on Zee World. Gangaa, Pulkit and Sagar join hands to try and get rid of Gangaa's teacher. Sudha and Prabha try there best to instigate Amma against Gangaa. Gangaa fakes having stomach pain just to skip the lesson. Amma realises that because of Gangaa, she loosing a lot of respect from the other widows. Niranjan shouts at Pulkit for neglecting his studies. Sagar hands Gangaa a cd player with work Gangaa needs to memorise. Amma continues to make the rift between Gangaa and Niranjan wider and to make matters worse, she fools Gangaa into taking a vow of silence. Sagar begins to question the sudden closeness between Amma and Gangaa. Gangaa somehow tells Sagar about the oath she took not to talk. Madhvi out of the blue gets a severe back pain and she asks Gangaa to call someone, only problem is Gangaa can't talk. How will Gangaa get help? Niranjan's brother in law, Omkar comes to visit along with his daughter Drishti. 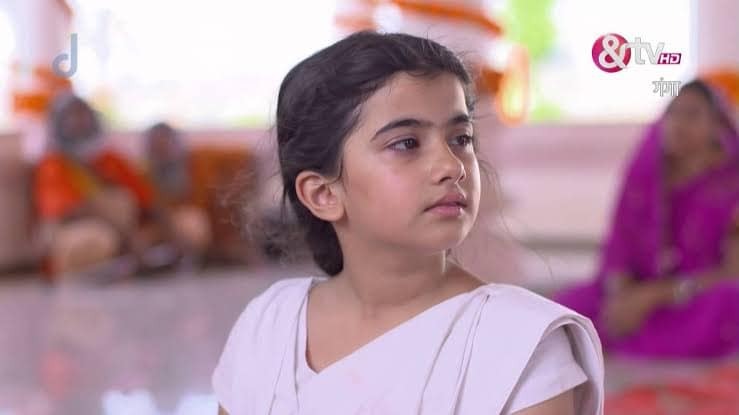 Gangaa thinks about what Amma says and unknowingly she insults Omkar. Sagar finds a way to free Gangaa so she can expose Amma's deeds to Niranjan. Niranjan finds out that Amma instructed the teacher to teach Gangaa the wrong stuff. Drishti becomes the performing student in the state. Omkar crushes all of Drishti's dreams as he fixes her marriage already. Upon meeting the potential groom, Gangaa and Sagar decide to evaluate him all on their own.